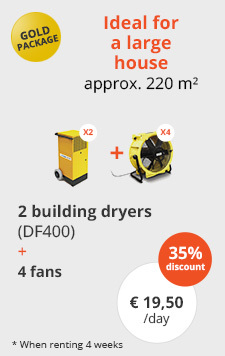 How many building dryers do I need? 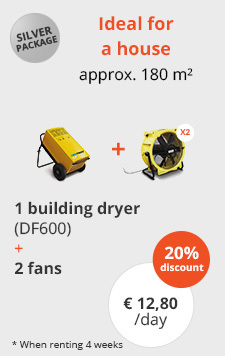 When you have decided to use building dryers to speed up the drying time of your screed or plasterwork, you should ask yourself how many building dryers you will need to ensure optimal drying. 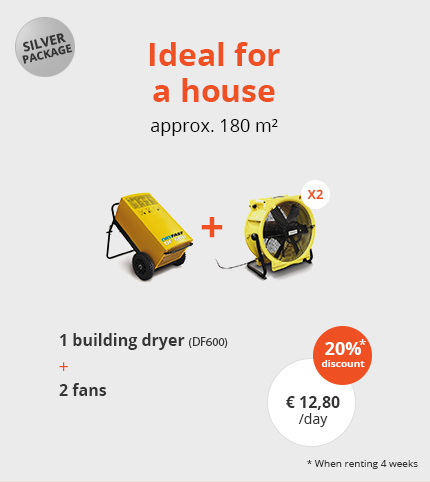 To make the drying process for your home as efficient as possible, it is important to work with the correct drying capacity. 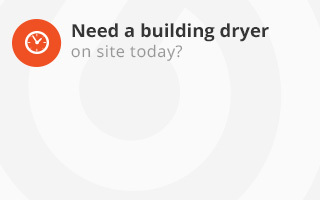 How many building dryers are needed for an optimal drying process? 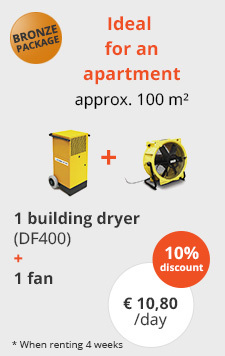 Determining the exact number of required building dryers and, where appropriate, fans or heating units, is not easy. 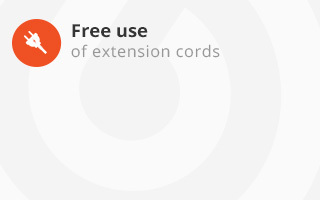 It is, however, of vital importance that the correct number of appliances are used. Working at undercapacity will slow down the drying process resulting in loss of time. An additional disadvantage is that you will have to hire the equipment for a longer period of time. Working at overcapacity will result in a higher energy bill and an unnecessarily high hiring cost. The volume of your home is a decisive factor in determining the number of required building dryers. 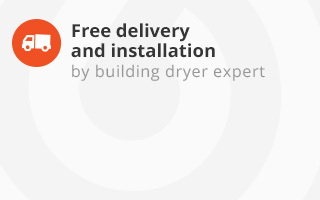 The larger the space to be made moisture-free, the more building dryers you will need to hire. Another important factor is the layout of your home. If there are many dividing walls, you will need more equipment. By contrast, if your home is one big, open space, then you will require less equipment. There are also smaller and bigger, more powerful building dryers. The first are generally used in apartment buildings or terraced houses, whereas the second are more indicated for large surface areas. 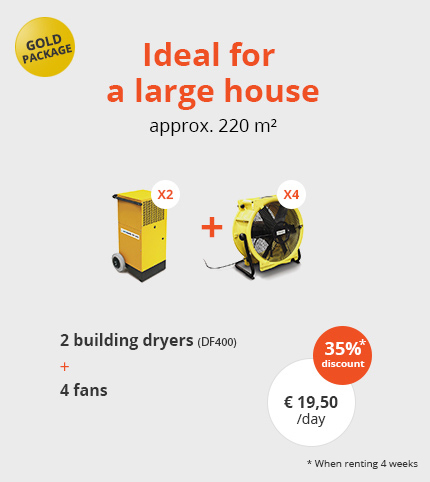 If you want to use building dryers, the best strategy to calculate the number of building dryers needed for your home, is to ask professionals for advice. 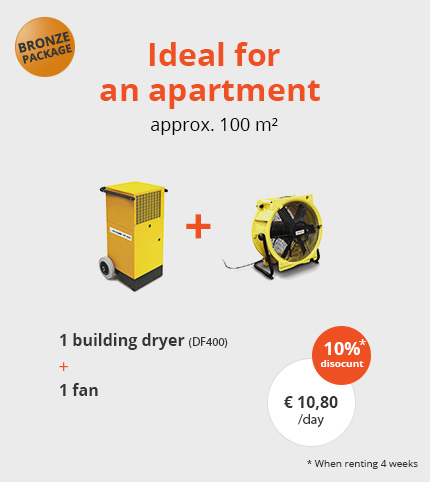 To make sure you are working with an optimal drying capacity, we recommend you to call on our experts. Based on the total surface area of your home, we will determine the ideal equipment configuration to ensure an optimal drying process. 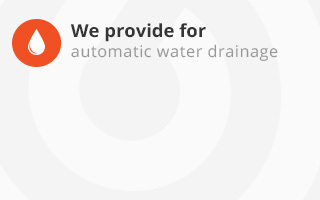 Please feel free to apply for a quote. In drying, we stand out!